Marian Shapiro makes original, hand-crafted, contemporary pieces using traditional techniques which push the boundaries of the mosaic art form. 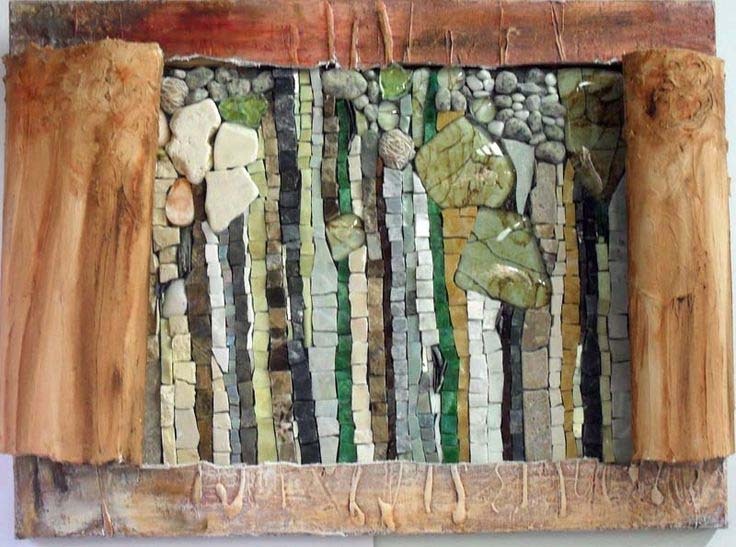 Originally trained in art and theatre in the UK, she became fascinated by the possibilities of the ancient art of mosaic and by the creative tension of using ancient techniques and traditional materials to make modern art. All of her pieces are unique and hand made, with each piece precisely cut using hand tools. She is often inspired by the materials, such as stone, glass and marble and the visual effects that can be achieved by combining materials. Marian often works in series which allows her to explore a theme in depth. She has been a full-time working artist since 2003 and during this time, Marian has furthered her mosaic and art education by attending many masterclasses and residential workshops in Australia, America, New Zealand, Italy and the UK. Shown and collected nationally and internationally, she has been commissioned by many private clients in Australia, the UK, USA and Canada and has several public and commercial commissions in Sydney. Her work has also been featured in a numerous books and magazines and on television. She is a sought after teacher and speaker, both nationally and internationally and has just completed her first international residency. In 2016 and 2017, she represented Australia at two international mosaic symposiums held in Italy.